We are one of the leading organizations engaged in manufacturing, supplying and trading a wide range of Digital Controllers. 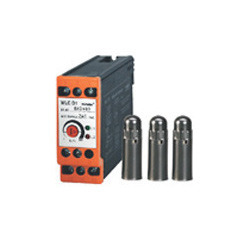 These controllers are also available in various specifications keeping in the mind the multiple demands of the clients. We have a exclusive range of Digital Temperature Controller to our clients. These are available in varied specifications and models like On/Off type, Proportional and PI type. Digital Temperature Controllers are the devices that are used to display temperature at different points during a process. These are designed to measure, display and control temperature, with high accuracy. 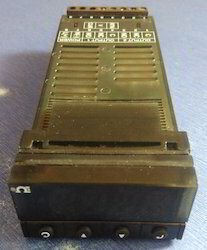 Output Relays 5Amp, P-No-NC contacts Operating Humidity 90% Rh N. C. max. Accuracy 0.25% of Full Scale Weight 1.5 Kg approx. 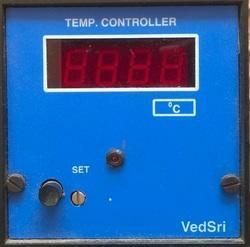 Indication 3 1/2, 4 1/2 digit RED LED display 0.5" height,for process & set values Model 201 - 3 1/2 digit ind. 205 - 4 1/2 digit ind. 201 - 3 1/2 digit ind. 210- 3 1/2 digit ind. We offer a wide range of Minilec Water Level Controller that minimizes the wastage of water for the clients. s you Know water Is very precious now a day in our Cities and towns. It gives fully automatic operation depends on water level. Our range of water level controller follow a simple mechanism and switches the pump ON and OFF automatically as per the water levels in the tank. Looking for Digital Controllers ?